The 2019 Gastrointestinal Oncology Conference, the official meeting of the International Society of Gastrointestinal Oncology, will take place October 10-11, 2019 at the Hilton Crystal City in Arlington, VA and will provide an educational forum for presenting and discussing the latest advances in the broad field of GI cancer research, as well as critical issues relevant to the care of persons with GI cancer. Advance registration is encouraged, as space and materials are limited. To qualify for the discounted registration fee the completed form and payment must be received by ISGIO no later than September 27, 2019. *Membership fee is included in the meeting registration fee for existing members. The registration fee includes Conference tuition, materials and refreshment breaks. Registration fees (less a $50.00 administrative handling fee) are refundable if a written request is received by September 10, 2019. Although no refunds will be granted after that date, you may transfer your registration to a colleague. For more information, call Stephanie Martin, Operations Manager at 631-390-8390. 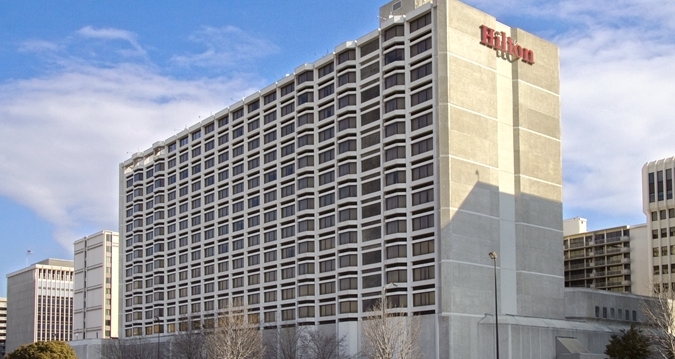 The 2019 Gastrointestinal Oncology Conference will be held at The Hilton Crystal City hotel in Arlington, VA is conveniently located in the heart of Arlington's Crystal City. The hotel is just steps from the Crystal City Metro Station and approximately 1 mile from Ronald Reagan National Airport. If you require accommodations, a limited number of rooms have been held for the conference at a discounted rate of $199 single/double per night plus applicable taxes. Contact the hotel directly at 800-695-7551 to reserve your room. IMPORTANT: Be sure to mention the ISGIO Annual Meeting to receive the discounted hotel room rate.